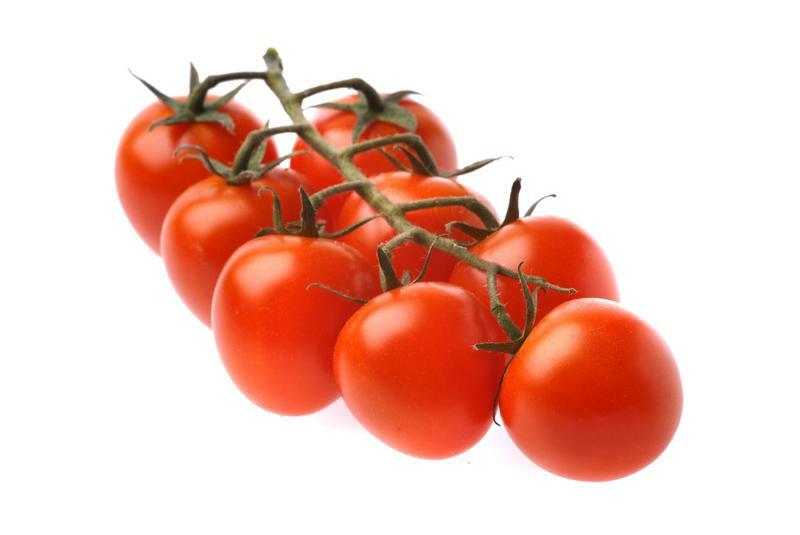 Roasting sweet cherry tomatoes intensifies their sweetness and flavour and you can keep them in the fridge for up to a week. Spread on sandwiches, toss in salads, add to stews or even snack on straight from the fridge. Yum! I cook them on a low temperature for about an hour, you can also do it overnight, like my friend Candy does. 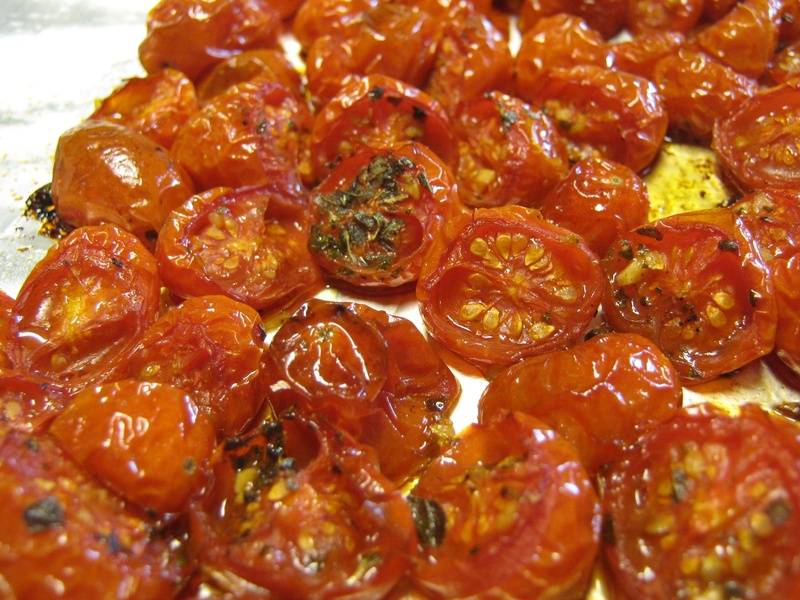 Here are two roads to fabulous roast cherry tomatoes. 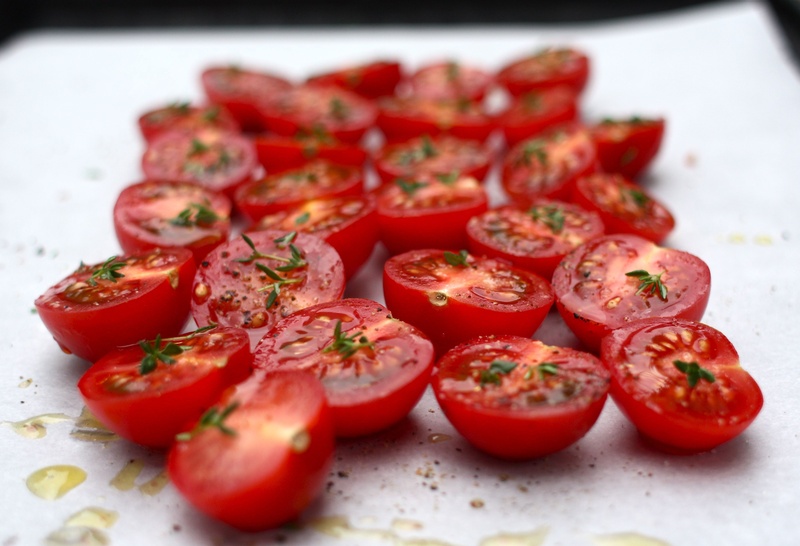 Place the tomatoes and garlic in an ovenproof dish, sprinkle with the sugar and thyme and pour over the olive oil. Roast for about an hour (keeping an eye on them), until they are shrivelled but not dried out. Eat immediately or allow to cool and store in the fridge for later. This way you can wake up to beautiful roast tomatoes! Place all the ingredients on a baking sheet and place it in the oven. Turn the oven off and leave the tomatoes in overnight (approximately 8 hours).